Hello DC World readers and, well DC Comics fans in general. As we know, most of the CW shows have now returned to television, with one still awaiting its new season premiere. Yes, those Legends Of Tomorrow return to television screens on the 22nd October, and they promise to bring the crazy with them. Yes, even more so than in Season 3. So, what do we know? Well, at the end of season 3 the Legends managed to defeat the demon Mallus in true Power Rangers style, enabling Beebo to cuddle him to death. Basking in their glory (or in this case the sun as it happened), they are quite happily take some chill out time before going on to clean up the remaining few anachronisms. Or that’s what they hoped for. Sometime guest star John Constantine arrives to spoil their fun, dropping a demons head on the sandy beach they are enjoying. Constantine informs them that, while they may have stopped the Mallus problem, they have in fact created a bigger problem in that defeating Mallus they have loosened the barrier between worlds. This in turn means that we now have a world where “fugitives” (mythical, magical creatures from all manner of legends and fairytales) have entered their world. Now, as you’ll see from the trailer below, the crazy looks like it has, in true Spinal Tap fashion, been turned up to 11 with the likes of Homicidal Unicorns to Badass Fairy Godmothers. 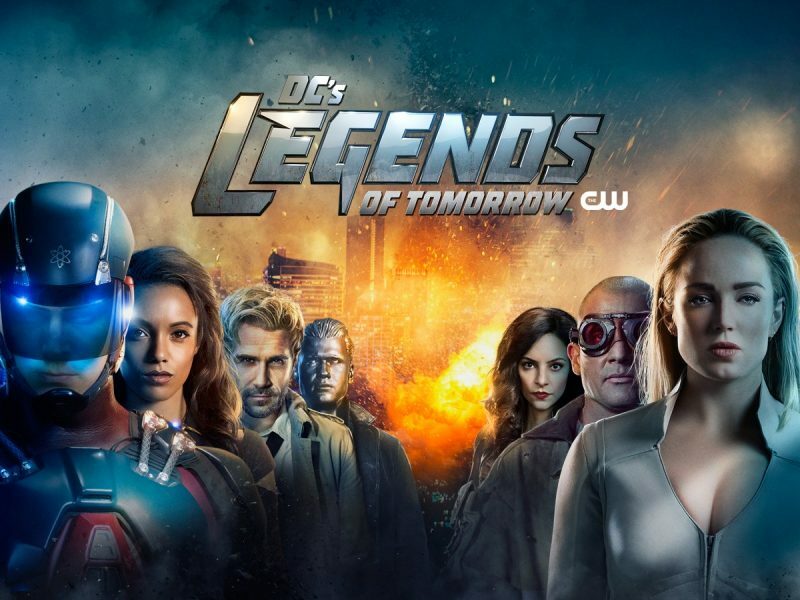 Obviously, John Constantine is well equipped to help deal with this and so the Legends team up with him this season as it looks like they are going to need all the help they need. Phil Klemmer, showrunner, speaking to The Hollywood Reporter a month or so back, has said that the addition of Constantine makes the show little darker, the lovely Maisie Richardson-Sellers still being a regular but taking on a different character (one of the magical beings we will see throughout the season), missing out on the Arrowverse crossover and how Mick Rory is still writing his book. Read more at THR Here. This season promises to be one helluva spectacle and the trailer only shows a part of it. Make sure to tune in from the 22nd October to see where this wacky show goes. I, for one, cannot wait! !